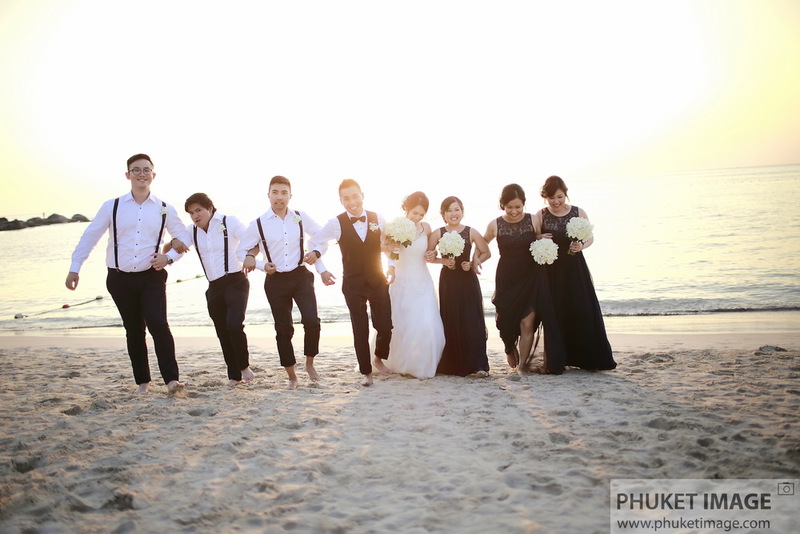 As a wedding photographer summer days is perfect for beach wedding in Phuket. 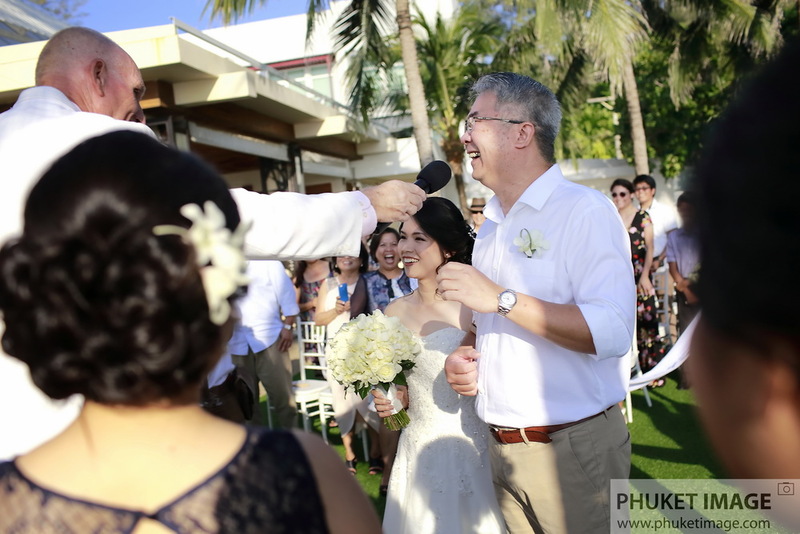 Today Paul and Sue wedding ceremony was held at Katathani Phuket Beach Resort. If you’re planning for romantic occasion you dream of is a destination beach wedding. Therese many place to get married on the beach. But Koh Phuket is one of famous spot in the world. 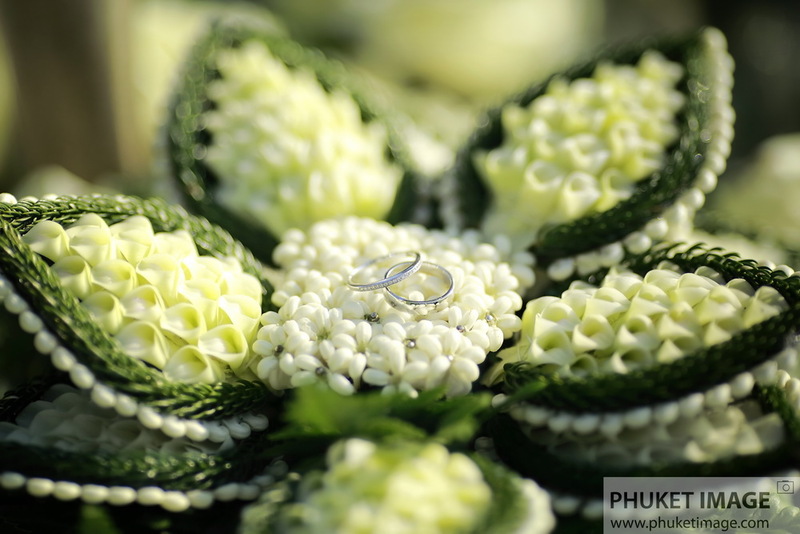 If you plan for wedding and honeymoon in the same time Phuket rolled up for all you need. 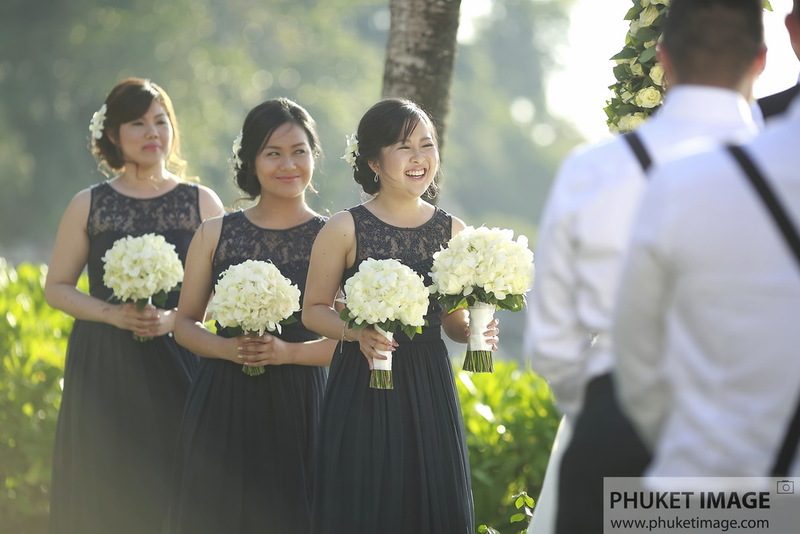 I’ve often arrived at a wedding gallery at Katathani Resort to spend an hour photograph the bride and bridal party getting ready, that sometimes being the most beautiful image in your big day. 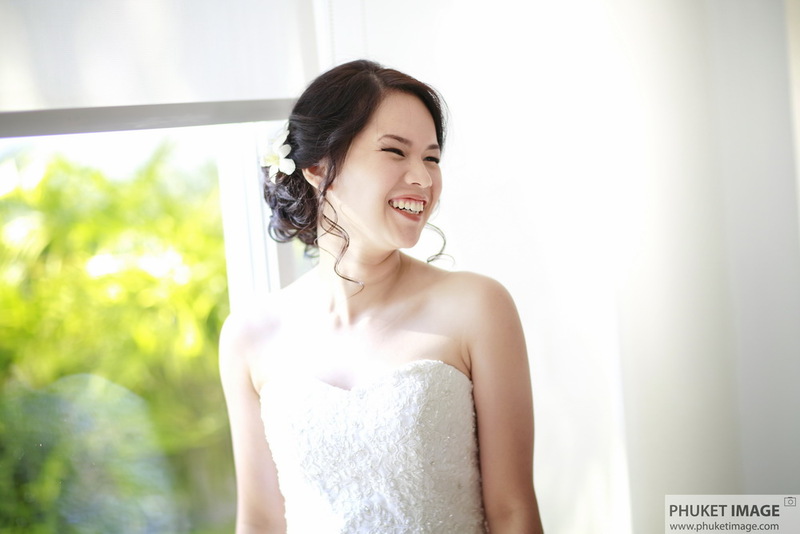 She was definitely a beautiful bride and she looked stunning in her ivory gown. After the bride is ready this is the picture of young and elegant bride full length portrait from back view. 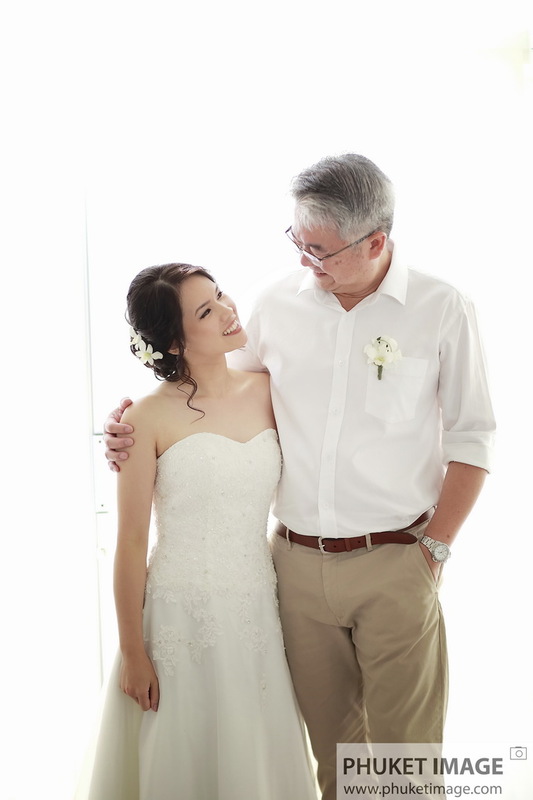 A sweet moment between a bride and her father. 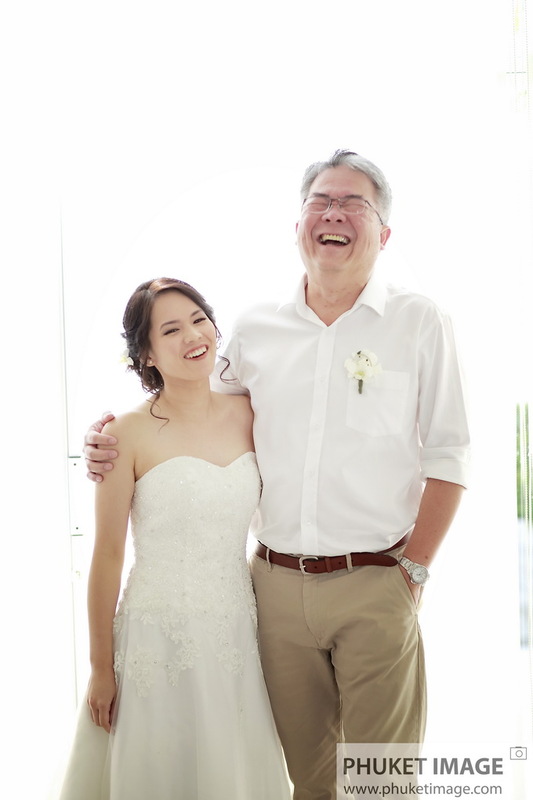 Precious moments of father of the bride laugh with his daughter before the they walk down the aisle. Here are my favorite photos of the bride mother helping her daughter get dressed and create this adorable photo. Mom dress is perfectly harmonized with the wedding color theme. Mom of the bride is when looking this photo that you can’t help but smile. Today at Katathani beach wedding venue, most people all eyes on the Sue when she first walks down the aisle. Amazing expression on Paul face from the first time a he sees his bride on their wedding day. 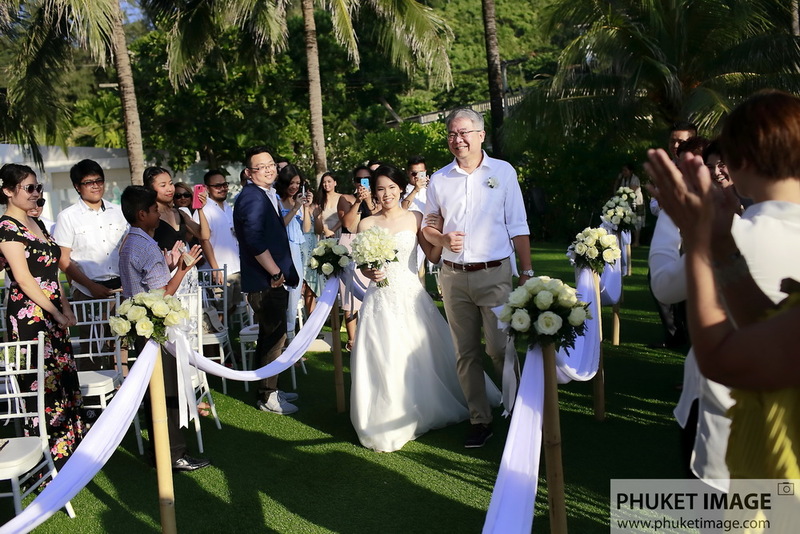 Here she is, our gorgeous bride and dad making her way down to the altar for her wedding ceremony by the Andaman Sea. Father of the bride and her mom couldn’t be happier to see their little girl marry the man of her dreams. 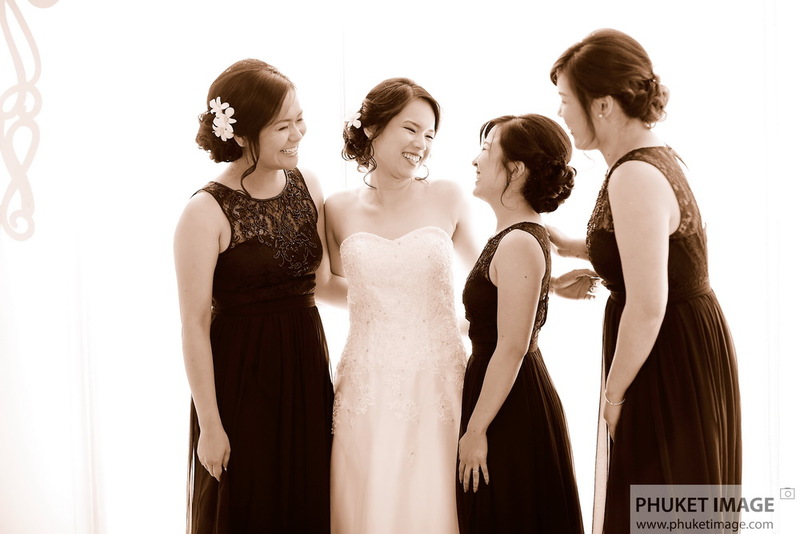 Love this shot of all bridesmaids lined up with a smiling face. 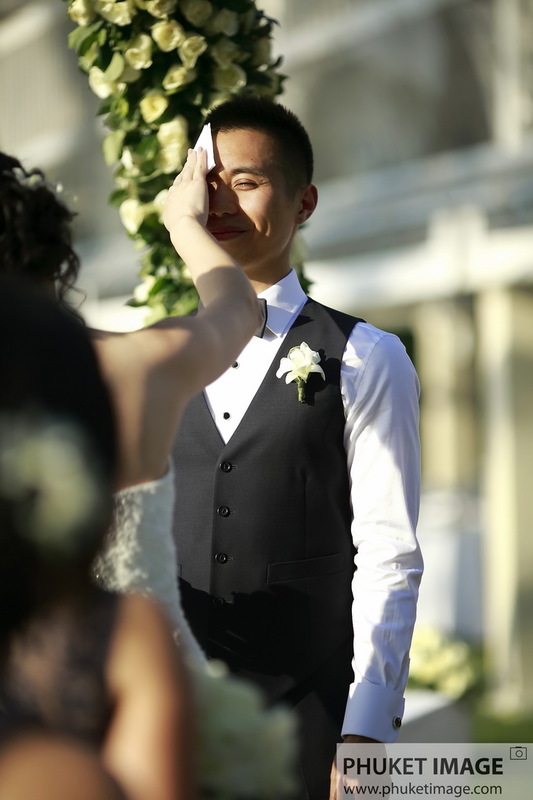 It’s quit hot and humidity is high today, Bride help to wipe the sweat from groom face are some of the cutest things captured on our camera. 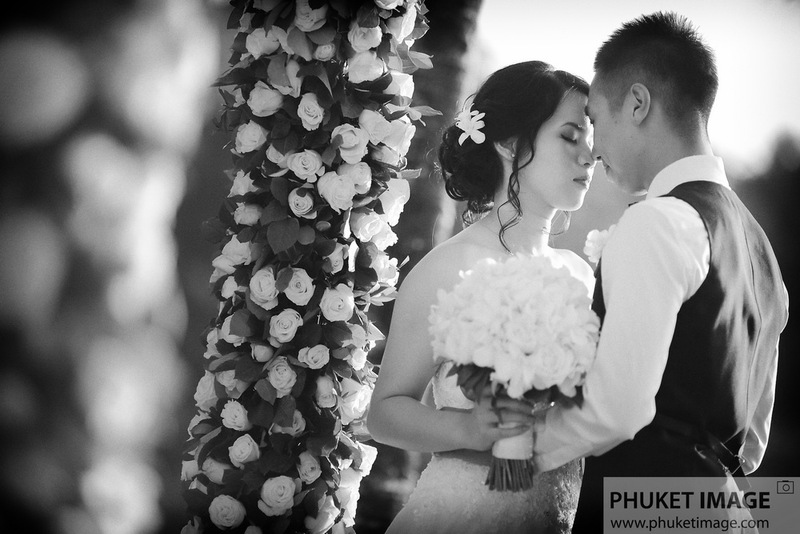 Photograph by Phuket honeymoon and beach wedding photography. Saying our vows emotional moments make the best picture and the raw emotion in this photo brings tears to our eyes. Cute bride and groom laughing during ring exchange. Maybe it’s because of Paul finger is harder to put the ring on. Paul and Sue can’t stop laughing after she try so hard to put the ring on his finger. 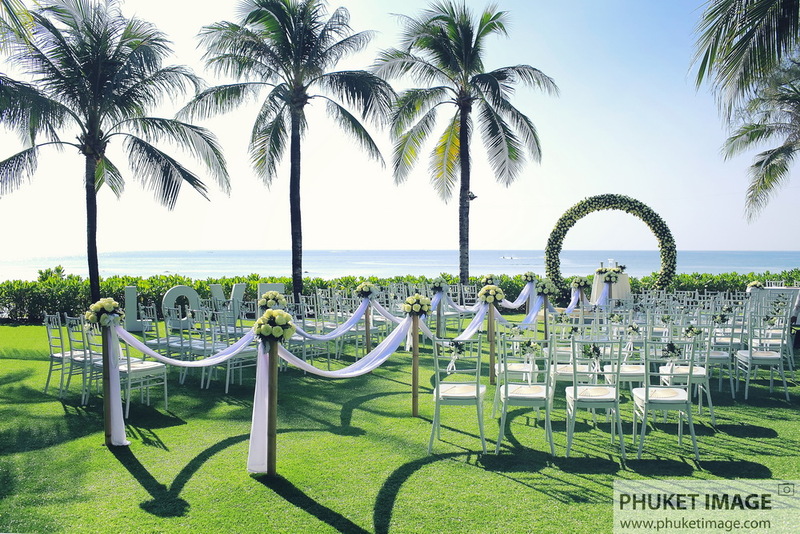 After beach wedding ceremony, photography session is start with around ceremony area. Romantic and stunning post wedding photo shoot at Katathani Resort. With stress free and no timeline to strict on for Paul and Sue. We have a best opportunity to create cheerful enjoy and relax photos and result is a stunning images for them. Bride and groom romantic kissing with an amazing sunset of the Andaman Sea. 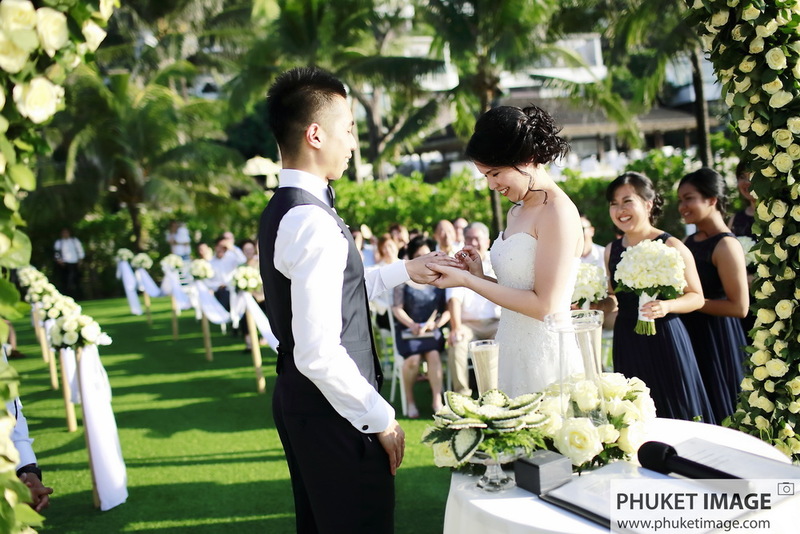 Summer time are perfect for beach wedding celebration and usually offers the most magical lighting, After wedding ceremony and before start wedding reception, We have a lot of time to shooting post wedding photo of Sue and Paul. This is one of my favorite image, bride and groom kissing at sunset on a beautiful Kata Noi Beach. If your dream destination tie the knot is on tropical beach wedding, Katathani Phuket Beach Resort is one of the most beautiful and popular venues in Thailand for good reason; it features a Seacret wedding venues with beautiful outdoor deck and sunset, affordable wedding packages and experience staff who make a spectacular setting for wedding . 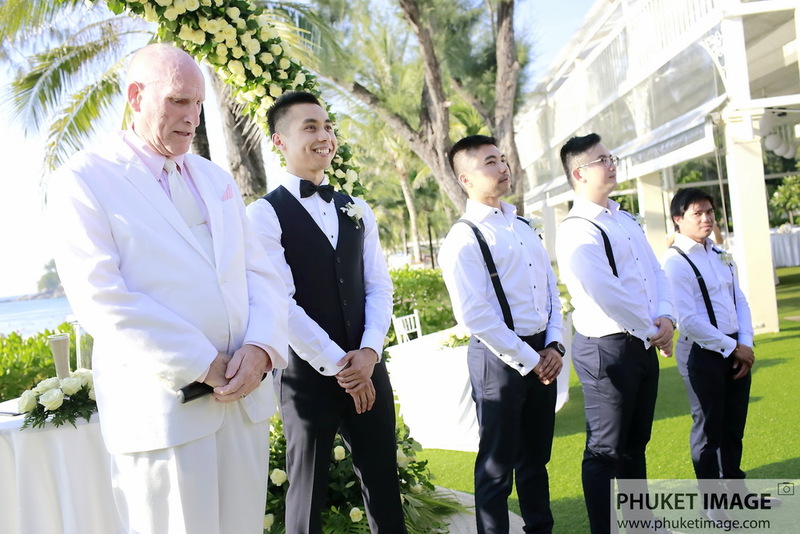 This entry was posted in Wedding, Wedding Day and tagged Katathani Phuket Beach Resort, katathani wedding, Phuket Photographer, Wedding Photographer. Bookmark the permalink.